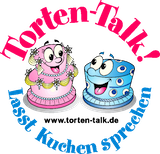 Weil ein paar sehr nette und freundliche Mitglieder meine HZ torten mogen, hier auch ein paar kleine torten. das ist Wahnsinn, welch wunderschöne Torten du gezaubert hast. Ich kann mich gar nicht genug satt sehen. This cake was made simply using a glass bowl as a baking tin. When baked I first covered the bowl side with buttercream and fondant. Be careful not to put too much on the bottom since it will sink in! Then flipped it over, carved some lines in the top and cover with buttercream and fondant. It helps if you let the first part set for a bit, so the fondant hardens just enough to give you the support you need to make a clean cut. Jede Torte ist wunderschön und so super sauber gearbeitet. Das sieht alles UNGLAUBLICH TOLL aus!! Besonders die blau-violette Torte sieht phantastisch aus! wow, amazing!! all of them are fabulous!